Heat oven to 350°F. 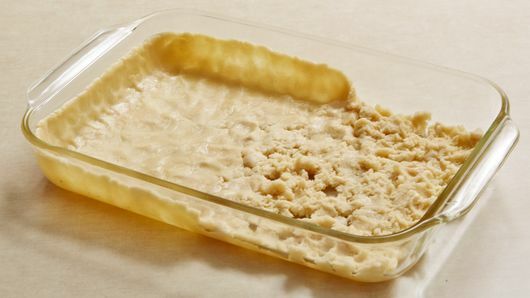 Thoroughly grease or spray 13x9-inch (3-quart) baking dish; press cookie dough in even layer in bottom and 1 1/2 inches up sides of dish. Bake 22 minutes. Cool 10 minutes. Meanwhile, in large bowl, beat egg yolks with whisk. Add condensed milk; beat until combined. Add lemon juice; beat until thickened, about 2 minutes. Pour egg mixture in cookie crust; bake 20 to 25 minutes or until set on edges but slightly jiggly in center. 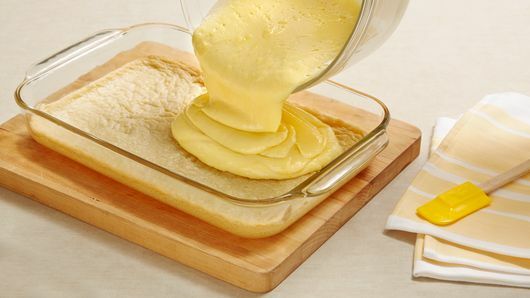 Cool 30 minutes at room temperature, then refrigerate until firm, at least 2 hours but no longer than 8 hours. Spread whipped topping over top. 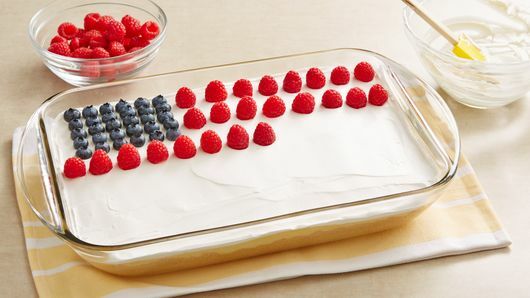 Arrange blueberries in top left corner to create blue field of stars section of flag. 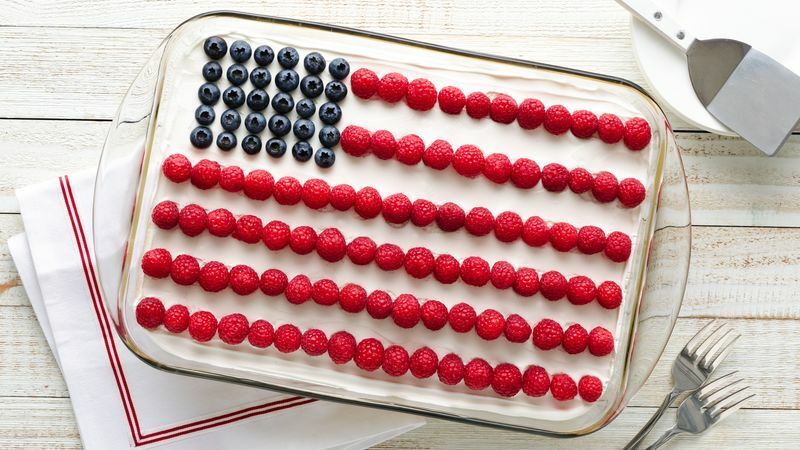 Make 6 red stripes with the raspberries. Carefully cover with plastic wrap; refrigerate at least 1 hour but no longer than 8 hours. Cut into 5 rows by 4 rows. Bottled lemon juice works great in this recipe, but for a tangier version, use fresh-squeezed lemon juice, and add a tablespoon of grated lemon peel to the egg mixture before baking.